The expected Republican victory on Tuesday will be built on an untruth: that President Obama’s stimulus didn’t work. 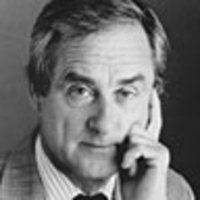 Sir Harold Evans sets the record straight. Millions will go to the polls tomorrow deceived by a brilliant propaganda campaign. They may have many reasons to vote against the Obama administration. Many of the criticisms may be justified, many not. Take your pick. I am concerned only with one. I call it The Big Lie because its acceptance has had a big impact on all our lives and it will continue to have a big impact, like a malign virus that one ingests wreaks progressive damage. The Big Lie is that the aggressive fiscal and monetary measures by which Obama defended America in the Great Recession were a waste of money, a notorious example of the Democratic appetite for throwing money at any problem. The summary charge is that “the stimulus did not work.” It has been propagated in a blizzard of television ads, in the slogans of Tea Party rallies, in countless vehement blogs and in print. Mostly this has been argument by assertion, even from such a distinguished writer as George Will. There has been precious little analysis of what effect the money had, and barely any reporting of what serious analysis there has been. The Obama administration made a tactical error in trying to be precise. It estimated that the stimulus spending would keep unemployment to 8 percent or less. But the commonplace assertion and the widespread notion that no jobs have resulted from the program is off by an order of magnitude that if made in business would instantly bankrupt millions of going concerns. • The Daily Beast Manifesto: Reboot America! • Howard Kurtz: Beware the GOP Coronation Contractors, subcontractors and other recipients of stimulus monies were required by law to document each calendar quarter the number of jobs funded through the American Recovery and Reinvestment Act (ARRA). Just to take the second quarter of this year, the number certified is 750,000 full-time equivalent jobs. Extrapolating from receipts already in by using reliable mathematical models, the number of men and women put back to work just in the second quarter of 2010 is at least 1.4 million! • Tina Brown: Obama’s Morning-After PlanThese numbers are contained in a report from the non-partisan Congressional Budget Office. Let’s be nice to most of the people saying the stimulus had no effect and presume they never got round to reading the CBO report. That is probably a fair assumption, or otherwise the population of the United States would have an extraordinary number of people with noses as long as the Golden Gate Bridge. But the Republican leaders in Congress could be expected to read Congressional documents they speak about–couldn’t they? They have no excuse for their Big Lie sold time and again to the gullible masses. Maybe the Congressional liars will come back to say they don’t believe their own budget office, which would be ironical because it would involve them refusing to believe that the same office’s estimate of our deficit is much exaggerated. But come away from the once-hallowed halls of Congress. The serial retailers of the Big Lie should read the careful econometric report by two independent and distinguished economists, the former Deputy Chairman of the Fed, Alan S. Blinder, professor of economics at Princeton University, and Mark Zandi, chief economist at Moody’s. It is a tragedy, since if we are to have more refusal to face the effects of the stimulus, as now seems likely, life is going to get a lot more miserable for millions. They attribute the larger part of this wholly benign result to have been from saving the financial system–something begun under President Bush and completed under Obama. Nonetheless, the effects of the fiscal stimulus alone appear very substantial, raising real GDP by about 3.4 percent, holding the unemployment rate about one-and-a-half percentage points lower, and adding almost 2.7 million jobs to U.S. payrolls. The Big Lie is a disgrace to all who have uttered it, knowingly or unknowingly. It is worse. It is a tragedy, since if we are to have more refusal to face the effects of the stimulus, as now seems likely, life is going to get a lot more miserable for millions after one of the worst elections I’ve ever seen in many years of reporting. We were like a man a sinking in a swamp. A good neighbor rushed along and threw us a rope. It just about stopped us sinking. But it didn’t get us out. It was too short, just as the stimulus was too small. Now along comes another man, the local preacher, telling us we are sinking because of our sins (which are many) and will yank the rescue rope away.